FORT LAUDERDALE, FL, USA, November 29, 2017 /EINPresswire.com/ -- SubscriberWise, the nation’s largest issuing CRA for the communications industry and the leading advocate for children victimized by identity fraud, announced today the continued mistreatment by Enterprise Holdings against company founder and America’s child identity guardian David Howe. The corporate abuse flows from Howe’s extensive fraud expertise which was immediately leveraged at the crime scene and subsequently exposed the ‘ding and dent’ scam to local media and law enforcement in Fort Myers, FL. “I can really empathize with crime victims everywhere,” said David Howe, SubscriberWise (www.subscriberwise.com) founder and 2016 National Car Rental crime victim at the Fort Myers International Airport. “It’s remarkable and sad that the same company that engaged in an attempted financial fraud one year ago would today continue its corporate malfeasance by black listing the victim from future rentals. “But that’s exactly what happened to me and I’m speechless to say the least,” Howe remarked. 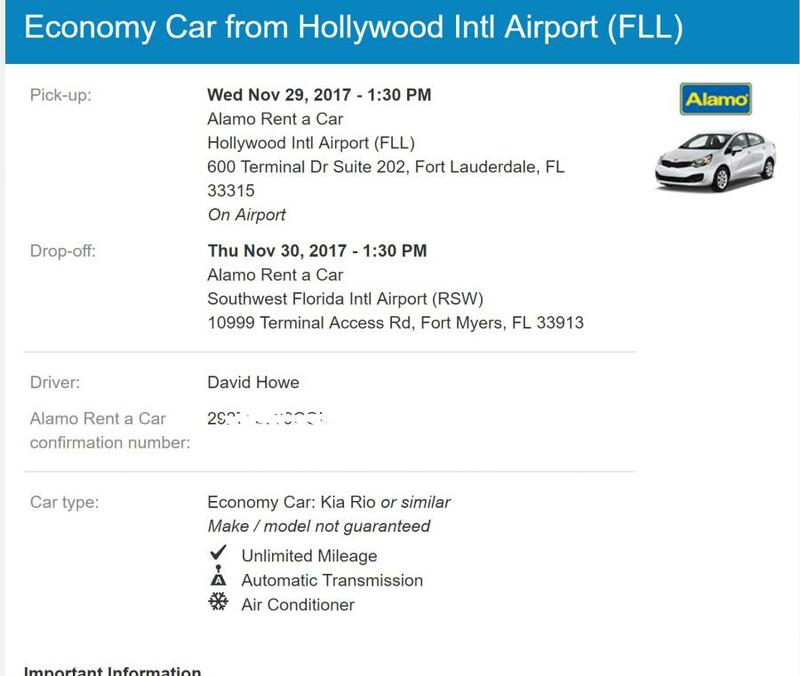 “Today I had a one-way rental reserved with the Alamo agency at the Fort Lauderdale International Airport,” continued Howe. “As it turns out – and so profoundly unfortunate it is from my perspective – Enterprise Holdings now owns the Alamo brand. And for more than a decade, I’ve been an Alamo customer in excellent standing. Throughout the years, I’ve never had a single issue, concern, or problem with the agency since I’ve been renting with my ‘Alamo Insider’ account. “Unfortunately, that reality changed today when I attempted to obtain the Alamo rental. To my dismay, I was informed by both an Alamo agent and a manager on duty that the ‘Damage Recovery Unit’ blocked my ability to obtain rentals. Specifically, I was told that my driver license was flagged and that I wouldn’t be able to obtain rentals at Alamo, National, and Enterprise. “Frankly, I don’t care to rent from National or Enterprise after the criminal victimization last year. I didn’t intend to today for that matter. As I mentioned, the event left me reeling and it has remained a stressful trigger simply reflecting on the criminal encounter. This experience today only added ‘salt to the wound’. “Yes, the entire event was traumatic and profoundly frustrating,” reiterated Howe. “But what an outrage that the same company which was exposed for its bad acts would continue harming its victim rather than acting responsibly while also acknowledging their wrongdoing. “Tomorrow I plan to share this latest injustice with FL AG Bondi’s senior investigators as well as my legislative contacts at Senator Rubio’s office,” Howe concluded. SubscriberWise® launched as the first U.S. issuing consumer reporting agency exclusively for the cable industry in 2006. In 2009, SubscriberWise and TransUnion announced a joint marketing agreement for the benefit of America's independent cable operators. Today SubscriberWise is a risk management preferred-solutions provider for the National Cable Television Cooperative. SubscriberWise contributions to the communications industry are quantified in the billions of dollars annually.